My poodles live in our home not in a kennel. 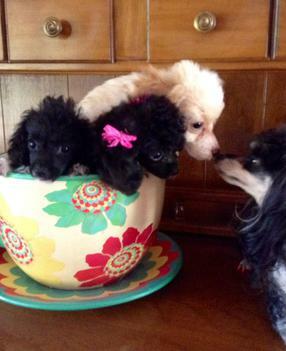 Each of them are spoiled rotten with lots of hugs and kisses the way poodles are meant to be raised. E-mail me and I will keep you posted and notify you when puppies are due or born. You will be able to experience the growing process of your baby with the short videos and the photos that I will e-mail you while your baby is growing up waiting to go home to his/her new family. If your computer is capable you will also be able to see your babies via web cam. "SKYPE"
A $300.00 (non-refundable) deposit will hold your new baby. Puppies are ready for their new home around 9 to 12 weeks old. 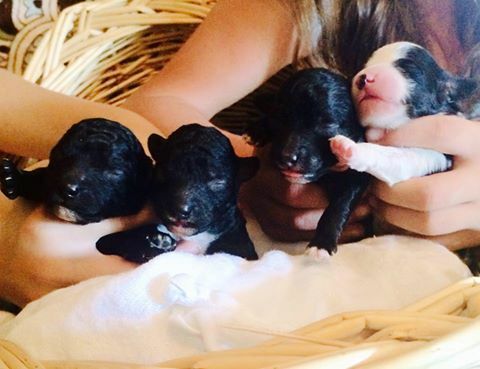 Puppies are not put on hold or sold until after they are born. 72 hour health guarantee. 1 year health guarantee!! I prefer e-mail or text. It is easier for me to keep track of those of you who are wanting puppies. Check out the pages on my website to view photos of past puppies to get an idea of what wonderful colors my puppies come in. Check out the testimonial page to see the great homes my babies have with the people who are spoiling them all rotten! My name is Pamela Charnesky. I have been raising teacup poodles for about 20 years now. We live in Amarillo, Texas. 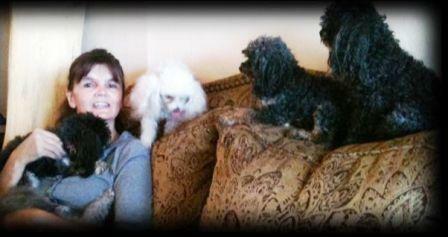 My poodles are my pets that live in our home with us. They are all house trained and lay on the couches and chairs and take turns going for car rides or sleeping at night with us. They do as I do, if I am outside planting flowers they are digging beside me, If I am inside cleaning they are biting the broom or vacuum or running off with my towels. They keep me busy picking up all their toys over and over again. At night they sleep in carriers two by two in our home. If they are due to have babies they sleep with me and have their babies in a basket beside my bed. I love each and everyone of them as if they were my own children. The babies that they have are spoiled rotten from birth. They usually only have two babies in each litter. I treat them as if a newborn baby were born and cuddle them until they are ready to go home to their new mommy and daddy. I also try to keep you in touch with your new baby by e-mailing or texting photos and short videos of your baby as he or she is growing up. If you live close by, I encourage you to come visit as often as you like and get to know your baby before he or she comes home. I also send a baby blanket home with your puppy that he and his momma has slept on. This seems to help with the transition. If you have any questions or are interested in the puppies I have for sale then feel free to e-mail me: skypetsnpoodles@yahoo.com or call my cell (806) 231-3453. HOME PARENTS PHOTOS TESTIMONIALS NURSERY TEACUP INFO. Check out nurseryfor puppies available and MORE photos and info!! 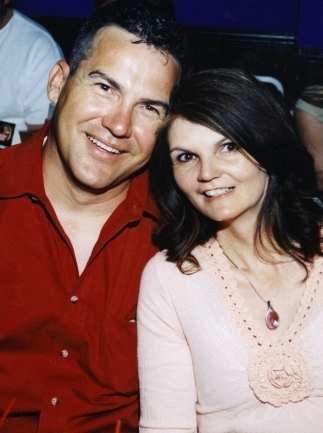 More info on parents on parents page.